This book trolley is great for school libraries as it can hold all sizes of books plus has a top tray which can hold CDs and DVDs. With one sloped shelf, this trolley also has a storage space for big books. Available in a range of 12 colours, this library trolley has 4 swivel rubber tyre castors with a load capacity of 70kgs per castor. Perfect for a nursery or school library. 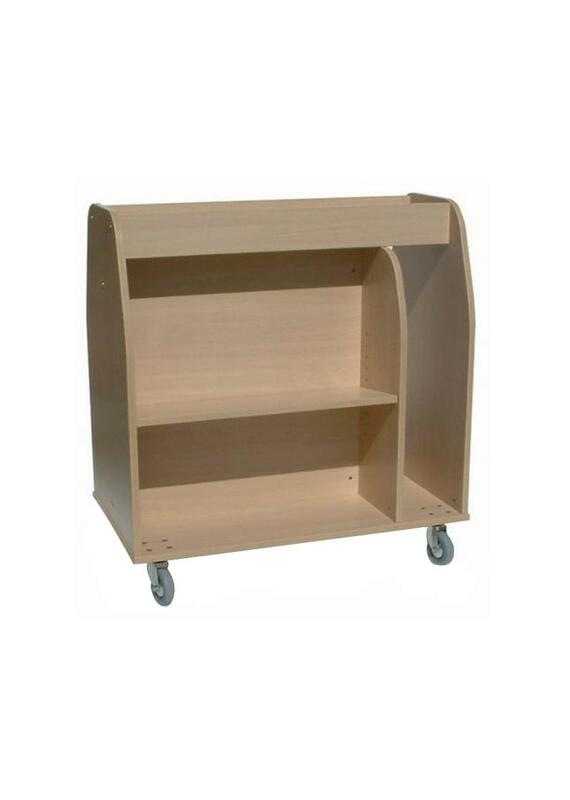 We supply a wide range of book trolleys and book storage ideal for school libraries. For more information please Contact Us or call us on 01733 511121.